Moving to Miami is less stressful when you have fewer items to pack and move. Moving is a great adventure and big opportunity to change your life for the better. But it is also a great opportunity to purge some of the household items you have accumulated over the years in your garage and storage spaces in your home. The best part of decluttering your home and arranging a garage sale is the lower moving price! The fewer items you pack the lower the price for the move will be. 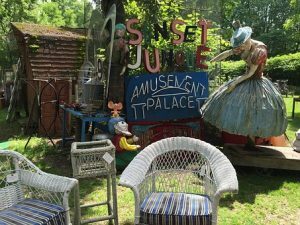 So, arranging a yard sale is a great way to cut your moving costs. That’s why we are here, to give you some useful advice on how to arrange the best garage sale. Don’t waste your time packing and moving your entire household and make a garage sale in front of your home! Arranging a yard sale is a great way to cut your moving costs or to declutter your home. What to sell at a garage sale? Get rid of unnecessary items! Before you hire Miami Movers For Less to handle your move, arrange the garage sale your neighborhood has ever seen! This is a great opportunity to sell the stuff you no longer need. Sometimes it is too complicated to move heavy items like furniture, tools, books, toys, etc. Instead of doing it, sell it all at your yard sale. But, if you want to save some of your precious belongings but you don’t have enough space in your new home, pick the right storage units in Miami to store them with success. The great news is at a yard sale, you can sell everything from CDs, DVDs, office equipment, computer stuff, yard items, toys, books, beauty products, etc. What is the best time to arrange a garage sale? When it comes time to arrange a yard sale, you have to choose the best time to do it. The yard sale is also a great opportunity to earn some money. And the best time to do it is to arrange it in the first weekend of the month. Why? Well, the answer is simple. People usually get salaries in the first weeks of months. So, on the first weekends, they have money to spend on your garage sale. When you are thinking about the prices on your yard sale, follow a few important tips. Make sure your neighbors can easily find and see the price of the stuff. Don’t think about the garage sale like a big hassle. Think about it like a great opportunity to declutter and clean your home from unnecessary items. Plus, you will save some money for the move! The main key for the best garage sale ever is a good organization. To draw neighbors to your garage sale put up signs. Advertising is the most powerful way to sell more items. Keep your sale signs clear, concise, and correct. The sign should point in the right direction of the yard sale. To draw neighbors to your garage sale put up signs. When you are arranging a yard sale, being organized is a crucial part of it. Pack items you want to sell inside the boxes. But, do it properly: separate items like tools, furniture, sporting goods, decor, books, toys, etc. When organizing a garage sale, make sure that your neighbors have easy entry to your happening. If you want that your yard sale looks more attractive to your neighbors, you should use your imagination. There are many different ways to make your yard sale more interesting. Do not put all the stuff on the walkways, instead use tables to present your items for sale. If you want to sell your old clothes you don’t want to wear anymore, don’t just put them in the boxes. Find a better way to present it. It is more attractive if you hang your clothes on a clothing rack or horizontal ladder. Find a better way to present your clothes. It is more attractive if you hang your clothes on a clothing rack or horizontal ladder. All your electronics should be plugged so your neighbors can test it before the purchase. Making a free box is the best advertisement for your yard sale. It should include items you want to donate. This box will draw more people to your yard sale. 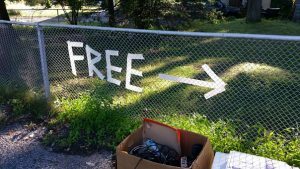 Make a sign “Free” and put the box in your yard where everyone can see it. Also, when yard sale ends up, put the leftover in boxes and donate it to the charity. Follow our tips to earn the money! Garage sales are a lot of work. You need to follow our tips to make it more successful. 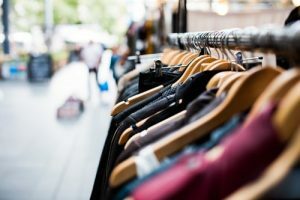 First, sort your items for sale, write ads, put some signs, and decorate your yard sale to be more attractive. We hope that with our tips you will have the best garage sale ever and you will earn the money.